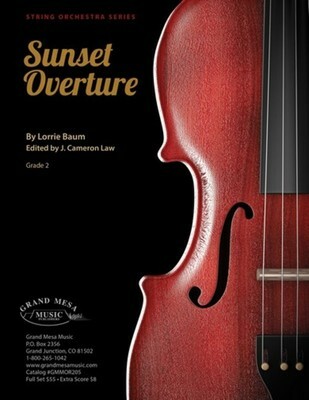 Sunset Overture is an original non-programmatic allegro work for young string orchestra. With abundant 21st century counterpoint, the piece offers multiple layers of excitement as the melodies are passed through each section of the orchestra. All instruments remain in first position except for some high Es in the cellos. The gloriously lyrical middle section is followed by a recapitulation of the main theme and an exciting ending that will leave your students and audiences shouting for an encore.